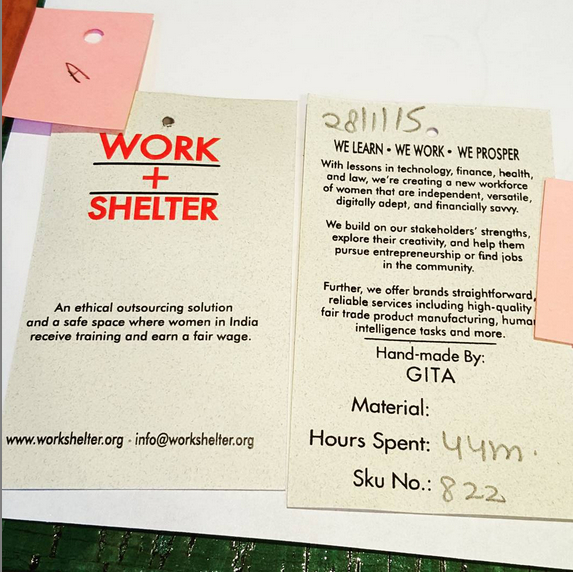 Some of our fabulous rewards for our upcoming Kickstarter campaign will be collaborations with WORK+SHELTER, an amazing organization that provides training, well-paying work, a safe environment, and a number of educational services for women in India. Click the link above to learn more about these women. If you want to hire folks to produce handmade goods, I highly recommend them! I’ve seen a number of sewn and knit products from WORK+SHELTER and they are great quality. We’ll have some WORK+SHELTER organic cotton project bags printed with our Great Northern triangle logo (by hand, by me! ), and I’m working on getting one of the patterns from the collection produced for a few higher-level rewards, too! I am so excited to see how those turn out. Stay tuned! We will be launching our Kickstarter on September 9th, so mark your calendars and tell your friends! Next Next post: More Yarn Support!